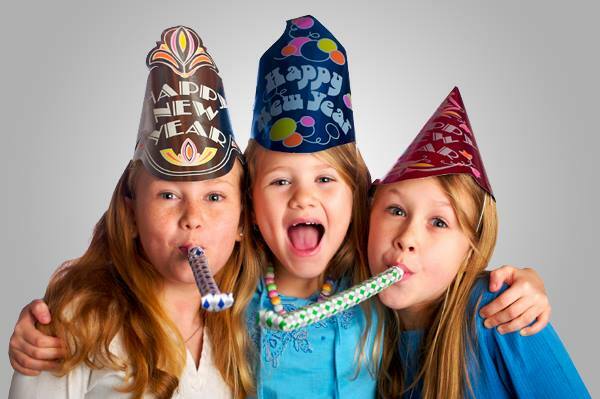 It's a SUPER-FUN "Noon" Year's Eve Kids Party! Complete with Hats & Horns! And a Balloon Drop with LOTS of PRIZES!